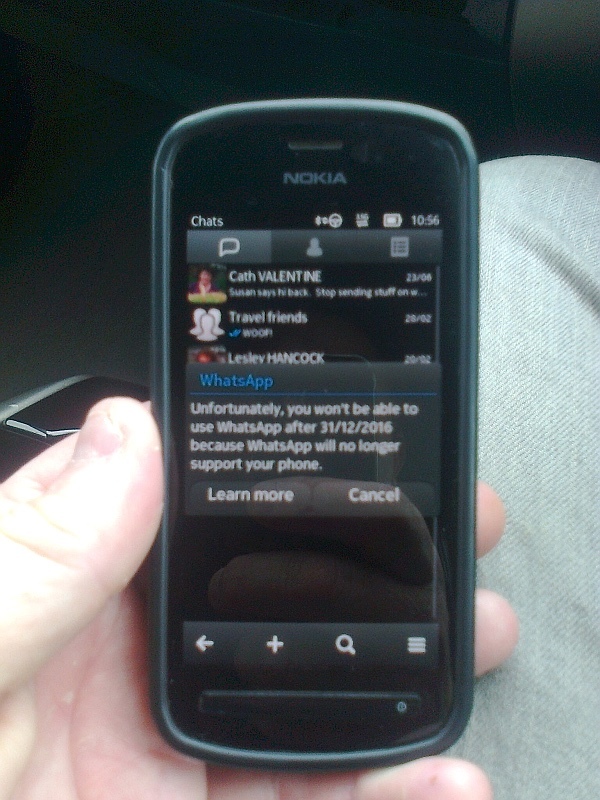 Thanks to Lawrence W for the heads-up and photo below – it seems that Whatsapp, a faithful stalwart on Symbian for a decade, is to end support for the platform at the end of this year. One by one, modern services are ending support for Symbian – obviously by not coding for it anymore, but also – as in this case – by a physical break in service, probably because servers dedicated to handling Symbian-specific traffic are being reassigned or decommissioned. Will this affect you? Do you still use Symbian for Whatsapp messaging? Comments welcome!